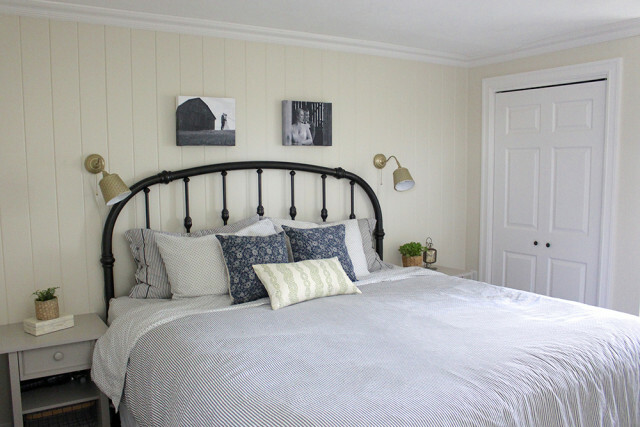 Last spring we gave our farmhouse master bedroom a complete makeover for the One Room Challenge. To make this space our own, without breaking the bank, we did all the work ourselves (with lots of help from my handy father too! 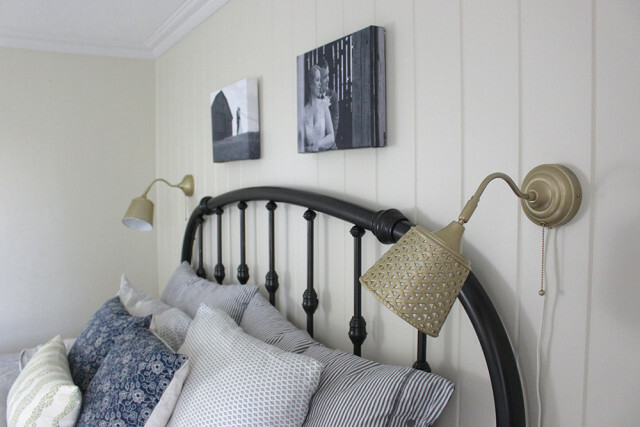 ), including making over a second-hand headboard into a DIY Wrought Iron Headboard. When I had started looking for brass wall lamps, the ones I liked were all $250+ EACH! Not exactly budget friendly. 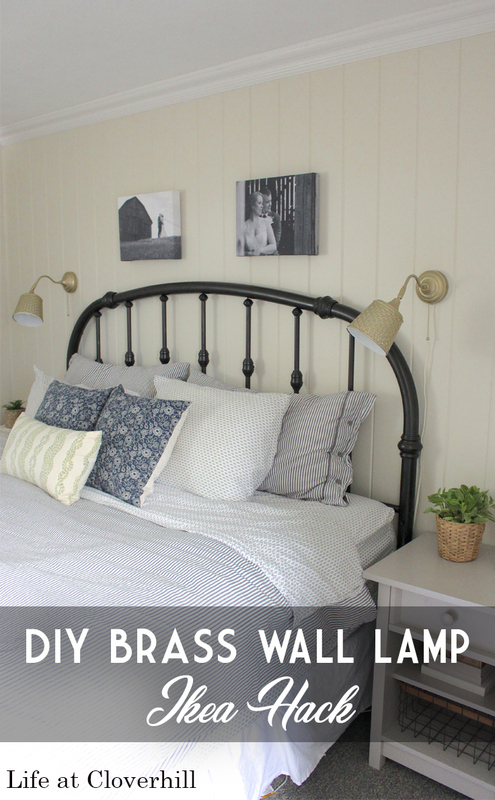 Using our basic silver IKEA Arstid wall lamps and a little creativity, I was able to whip up these DIY Brass Wall Lamps for under $20 for the pair! All it took to give these IKEA lamps a new lease on life was some spray paint and flower pots. Yes…flower pots! 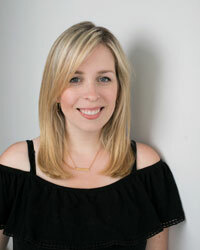 I’m sharing all the details today over at Kenarry – Ideas for the Home.